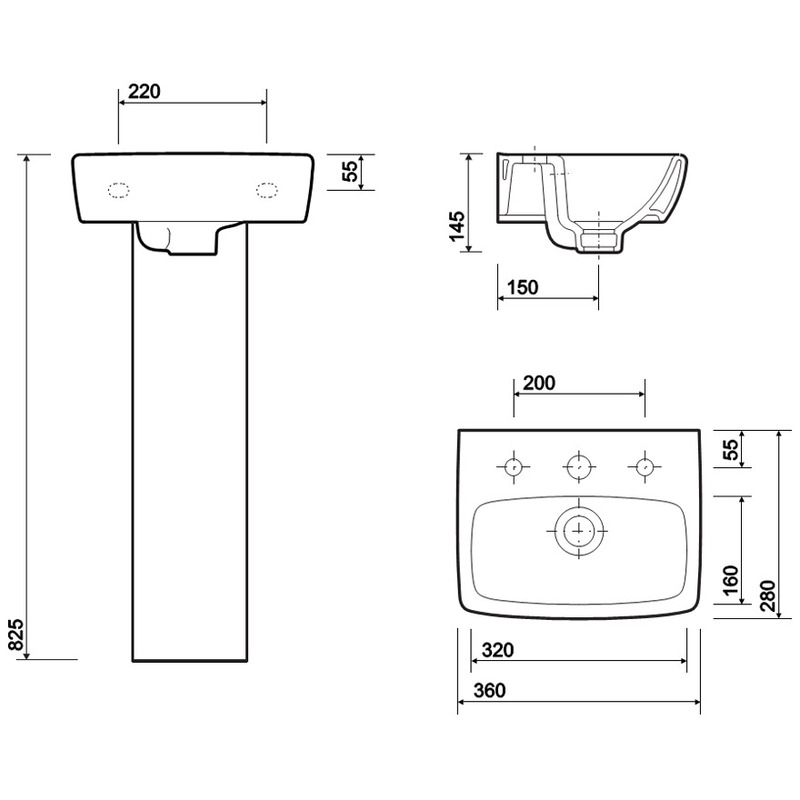 Total Install® Pack: Optional Total Install fixing for non load bearing walls, includes factory-fitted wall brackets and wall fixings. 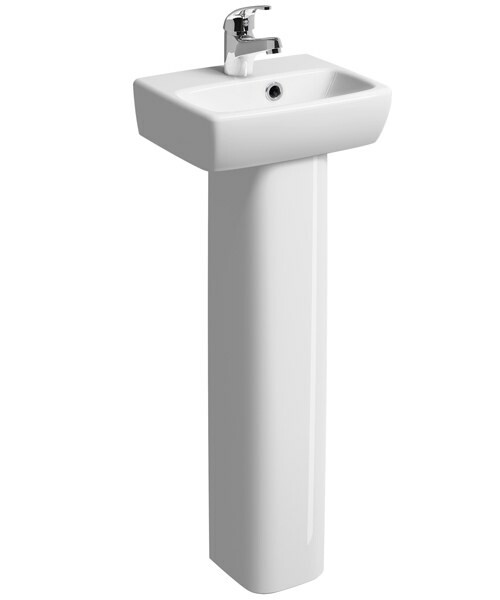 The bracket for the basin can be adjusted for easy post-installation tiling, without the need for removal, no matter if you have a full pedestal or semi-pedestal. 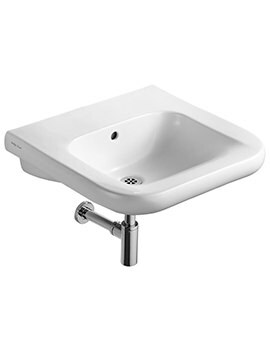 The Twyford E100 Square Handrinse Washbasin is created around the central design tenets of simplicity, minimalism, and functionality. 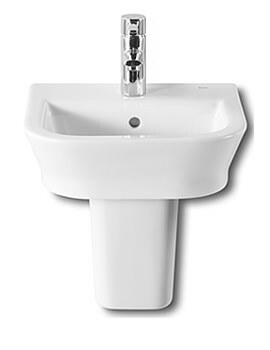 It is constructed from premium grade vitreous china for a durable and smooth looking piece. This geometric creation has generous depth, which gives a fine fill of water when in use. Being pure white in appearance, it can be readily matched with your existing or new bathroom elements. 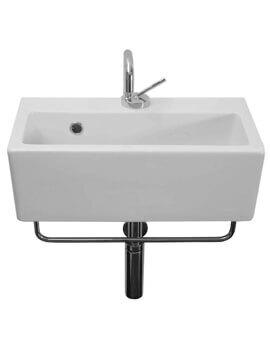 Ideal for use in small bathrooms, this compact piece, is conceived using a space saving approach. 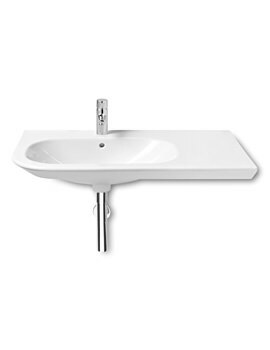 Suitable for use in any hotel or commercial space that wants to make the right impression, this basin is the perfect addition to such properties. It comes with a 25-year guarantee from the manufacturer. 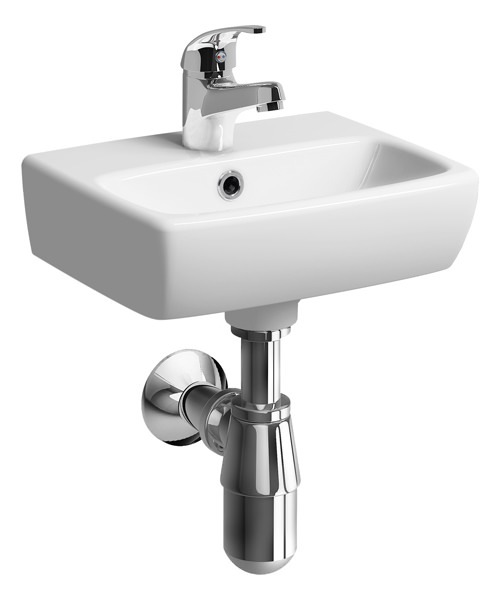 White finish full and semi pedestal for Twyford basin. 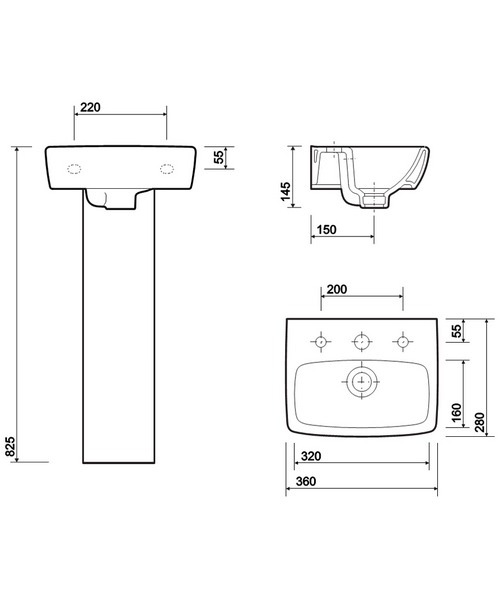 Select the desired pedestal that you prefer for your basin. Image shown is just for illustration purpose only. Contemporary and traditional style bottle trap with extension pipe in chrome finish to choose from options. Please note: Image is for illustration purpose only. Recommended Total Install basin upgrade pack complete with basin fixings. Please note : Image is for illustration purpose only.